CorvetteForum - Chevrolet Corvette Forum Discussion - Help to determine possible horse power! I have a matching number 77, L82. I removed the engine and replaced it with a beefed up 350 ci engine but I need help trying to figure out how much more horse power it will have over the original engine without having it put on a Dynamometer. Can anyone give me a rough idea based on the parts installed in the engine? Please read the attached parts list. Not really anyway to answer this with the info you gave. Without knowing the compression ratio and the specific cam info (could look this up) it could be just about anything. With that said, assuming a decent build, I would guess around 1hp/CI is a pretty normal amount these days. That would put your 350 engine at something in the neighborhood of 350-380 HP. That would put your new engine somewhere in the 150 hp more than stock range. All of this is a complete SWAG though with no more info than what you have given. Thank you for your help. I asked around the office after giving them the Comp Mother Thump-er cam specs and they seemed to think it would be in the neighborhood of 420 hp. That falls in line with your evaluation. I'm confused about the statement you made concerning the original 350 L82 engine. The specs on the car list the L82 as 220 hp not in a range of 350-380 as you quoted. I know the new engine has a great deal more power. You can tell the difference just standing behind the car and feeling the amount of pressure that comes out of the exhaust... it's nice!!!! The Mother Thump-er can us more of a "show" cam compared to the "Thump-er". I will dig up the cam and any other specs i have on file and post them. Maybe that will help with the rating. I'm confused about the statement you made concerning the original 350 L82 engine. The specs on the car list the L82 as 220 hp not in a range of 350-380 as you quoted. I quoted around "150 hp more than stock". That 150 + 220 is in the neighborhood of the 350-380 I posted for your new engine. Thank you again. I miss understood the way you totaled the horsepower. I was hoping the 420 hp guess was going to be what I had. 350-380 is MUCH better than the original 220. Thanks. I have documentation of the head work. I will post it once I find the information. Do you think it would be better to take the L82 heads off my old engine and put them on the new one? Very hard to beat the Vortec with the guides cut down for a bigger cam, especially for the price. When cutting the guides put the new springs on at the same time and your ready to go. It is real hard to give you a good figure. I didn't see part numbers on that list. Part numbers could help with a better guess, but it still will only be a guess. Who did the head work? If the person knew what they were doing it could be an improvement. If they didn't know what they were doing the heads could be worse than before the work. I see you are in Sorrento, LA. There are quite a few chassis dynometers in the BR area. I would suggest waiting for a dyno day where you can put it on one and get 3 pulls for $50 range. Take it to your local drag strip, have fun and post your times. Your fastest MPH after a 1/4 mile will show how it compares to stock. Much cheaper than a dyno and you can have a little fun at the same time. 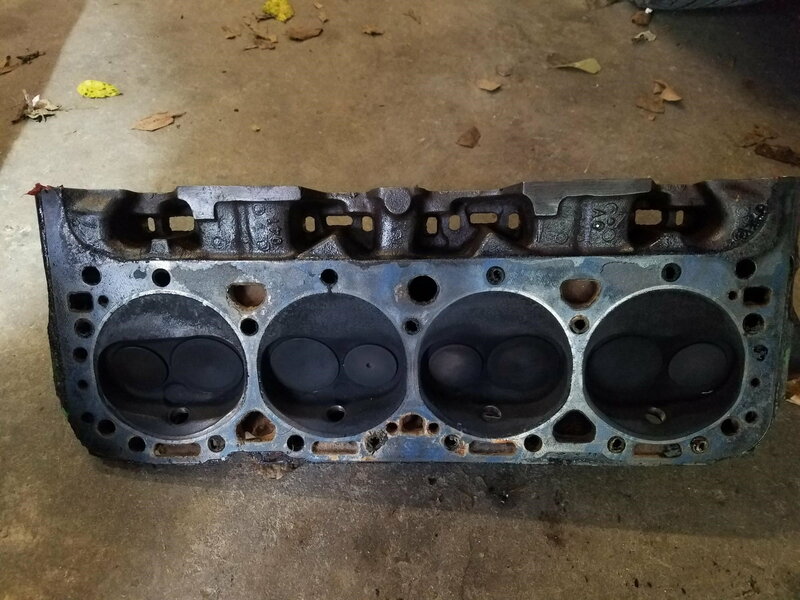 Vortec heads can be had for around $500, they should be a decent improvement. If you are going to go for aluminum heads, my vote is for the Jegs re-branded Profilers. They are $999 for the pair at Jegs, and they flow nearly the same as AFR heads of similar runner size. Those heads would be capable of getting you over the 400hp mark, though I would reccomend a different camshaft "while you're at it". Thanks guys. It seems, all bets are off concerning the beefed up engine I just bought. I finally found a mechanic shop that is knowledgeable about vintage cars. They are basically reworking everything that has previously been done to the car by the four so called mechanics I have had work on it. The last and worst thing is the new beefed up engine I bought from a private individual off of Craigslist was was poorly put together. I paid the person I bought it from to install it and that was an even worse mistake. Bottom line is the new crank shaft drifts about 1/4" after the engine has warmed up. 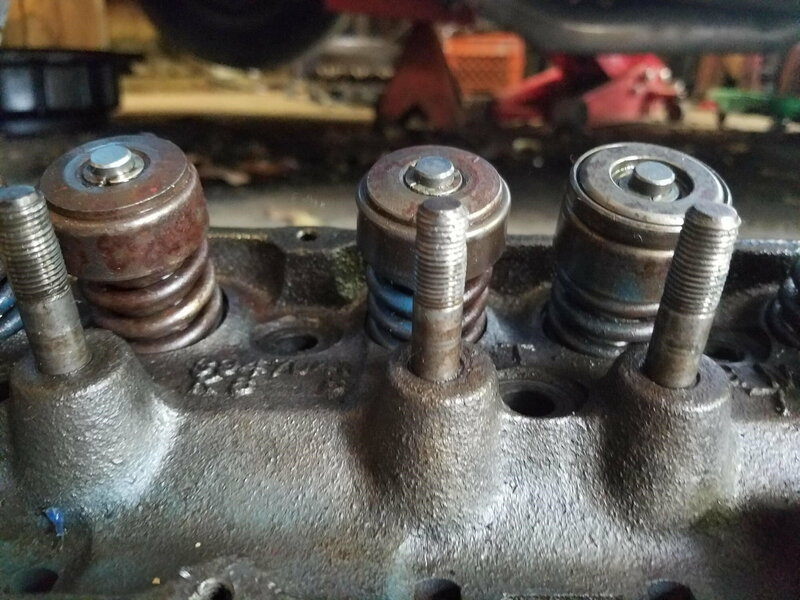 The heads were supposed to have been reworked but when we pulled them we found they had not, also, the rocker arm mounting studs threads have been stripped so a stud puller may not work on removing them so they can be replaced. There are large gouges in one of the cylinder walls. 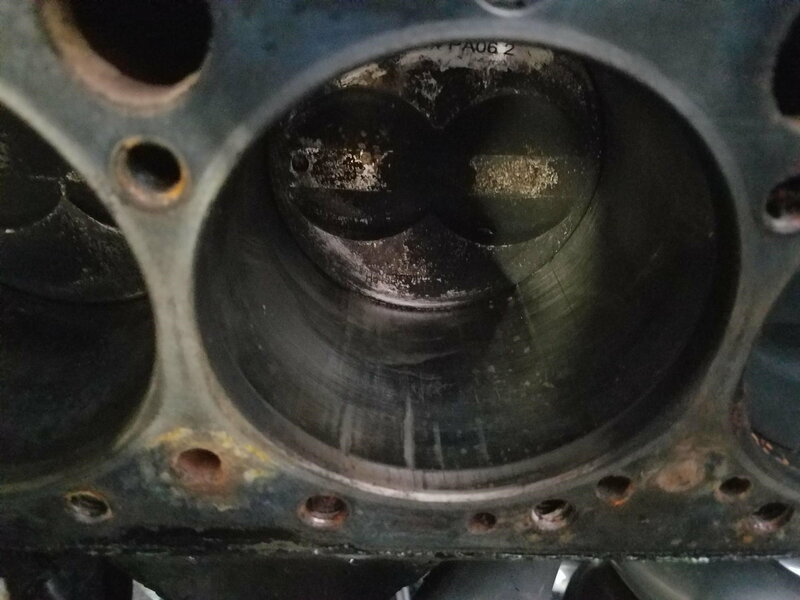 It seem as though some metal fragments were left in the cylinder before the heads were installed or possibly a part of the valve or stripped off fragments from the rocker arm mounting studs fell in to the cylinder. Either way we have to start over from scratch. 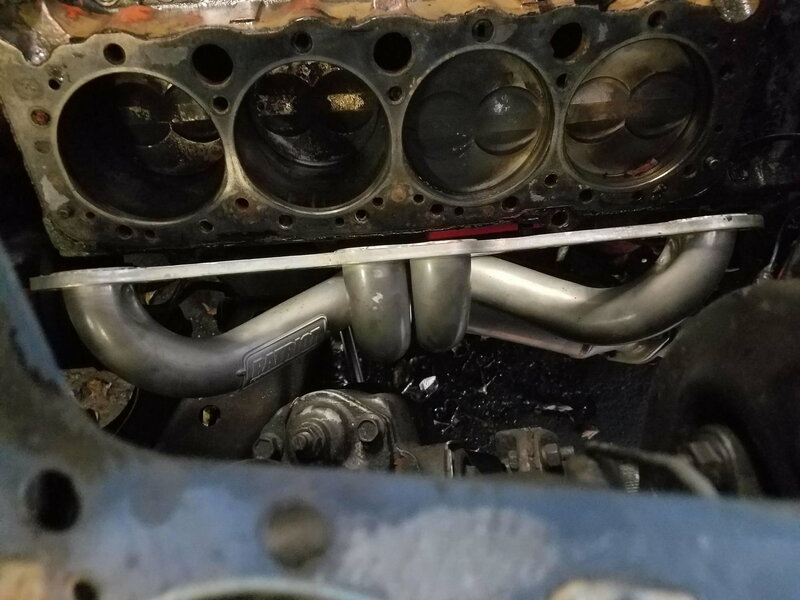 I brought my original matching number L82 engine to the shop with the intentions of swapping the high performance parts (approximately $1,800.00 worth) that were installed in the "junk" engine into it. Hopefully that engine is still strong enough to take the new Mother Thumper cam and matching valve springs. I also found a used 700r4 transmission to install in the car and had it re-worked bu a professional transmission shop. Hopefully that will not be a mistake too. What are these supposed "High performance parts" that were on that junk motor? Sounds like that motor wasn't worth much more than the scrap metal weight. So far it looks like I've been taken for a long ride on a short bridge. I was given some documentation on the parts that were supposed to have been installed. I guess we will see once the engine has been dismantled.